Thanks for all your comments on yesterday's woman on the streets of Yaroslavl. 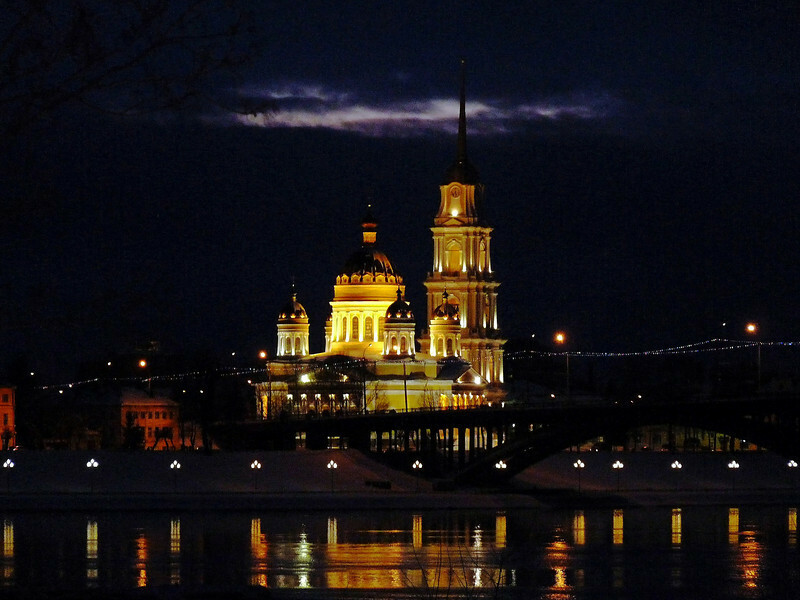 Here's a shot of the Cathedral of the Transfiguration of Our Savior at night in the nearby town of Rybinsk, one of the oldest settlements on the Volga River. About 266 kilometers (165 miles) from Moscow, both towns are part of Russia's "Golden Ring", cities & towns famous for their architecture & historical & religious importance. Have a good weekend! Outstanding night shot and scene! Superb night shot, great reflections! Gorgeous night shot, the details are just wonderful! Outstanding capture.... such wonderful reflections & amazing architecture, fantastic!